Tattoos are the Inspiration to Be Ourselves! If you fantasize of possessing a tattoo but afraid to get one, then there is nothing to be afraid of. Whiskers now present the specially and uniquely formulated tattoo cream which effectively protects your skin form any infection after the inking is done. This specially formulated Whiskers tattoo cream is highly beneficial in healing the skin after the inking and this also helps in preserving the colors of the tattoos and retains the shine of the colors for a longer time. Whiskers Tattoo cream is considered as one of the best tattoo care products available online in India. Human skin is made up of three layers namely- Epidermis, Dermis and Hypodermis. The epidermis is the outermost layer of the skin; the middle layer is the Dermis and the innermost layer is the Hypodermis. A permanent tattoo is being engraved on the human skin by inserting the ink on the second layer of the skin. As the needles are puncturing the epidermis of the human skin, the outermost layer takes the form of scabs. These scabs are then being replaced by a new and healthy epidermis within 45 days from the date of inking. Whiskers Tattoo cream can be very effectively applied during this phase for the healing of the skin. Henceforth, Whiskers tattoo cream can be used for preserving the colors of the tattoo and to keep your tattooed skin healthy. Why do You Need a Tattoo Cream? The natural ingredients of a tattoo cream helps in clogging the pores after a tattoo. The tattoo cream also possesses Vitamin E which helps in repairing the skin after a tattoo is being freshly operated. The old tattoos can be effectively brightened with the regular usage of a great tattoo cream. The colors of the tattoos are invigorated if you opt to use this cream regularly. A great tattoo cream helps in healing the skin and minimizes the chances of inflammation and infection after the inking process. This makes the entire procedure of getting a tattoo easier and safer. A tattoo cream usually contains a natural moisturizing agent in it which helps in keeping your skin hydrated and healthy. This in turn prevents the cracks and blemishes on the site of the tattoo. There is a pleasant aroma in this grooming essential for men. This makes you feel good and boosts your confidence big time. What makes Whiskers Tattoo Cream Different & Better? Whiskers tattoo cream is an essential grooming product for men as it is completely skin-friendly and contains all-natural ingredients like olive oil, pure shea butter and also lavender oil which contains high aroma. There is no risk of any kind of allergies while using this lotion as this is free from allergy-causing components like petroleum and lanolin. There are some natural oils which help in conserving the skin’s natural moisture and also prevent the skin during the dry weather from cracking. One of the major ingredients of Whiskers Tattoo cream is olive oil. The olive oil acts as a great nourisher for your skin and makes your skin firm and healthy. The olive oil in the Whiskers tattoo cream also acts as an anti-ageing agent. This lotion also contains a very effective hydrating compound called squalene which is considered as the panacea for the skin. Also, the olive oil contains Vitamin A, K, E & D which helps in preserving the natural oil of the skin and keeping it moisturized. There are several therapeutic properties in this ointment. One of its ingredients is shea butter which also contains anti-inflammatory, humectants and emollient properties that keeps away inflammation and infection while and after the inking process. The lavender oil in this lotion has got healing qualities which heals the skin quickly after the tattoo is done. The lavender oil is also responsible for diminishing the pain while in the process of tattoo application, facilitates blood circulation and also keeps away inflammation. This is also effective in healing minor skin issues as well. The Whiskers tattoo cream does not contain any harmful chemicals and the chances of any kind of side-effects are not there. So, this lotion is ideal for sensitive skin as well. How to Use Whiskers Tattoo Cream? Washing the Tattoo- First of all, you need to wash the tattoo with clean hands using slightly warm water and an effective antibacterial soap. Patting the Tattoo Dry- After thorough washing of the tattoo, it is necessary to pat dry the area with the help of a clean paper towel. 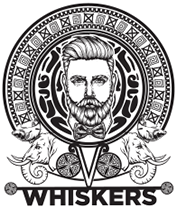 Applying Whiskers Tattoo Cream- Once the tattoo site is patted dry; you are required to apply a thin layer of the Whiskers Tattoo Cream on the skin where the tattoo is engraved. Repeat-The above procedure should be repeated at least twice every day- once in the morning and once in the night. Also, tattoo cream can be applied whenever your tattoo is exposed to heavy sweating, excessive dirt or any foreign elements. The above guidelines would fetch you the best results in preserving your tattoos. 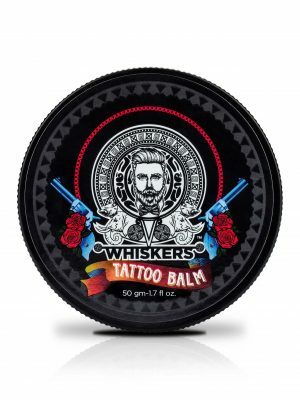 Whiskers tattoo care products also include Whiskers tattoo balm which is also very effective in rescuing you from the aftermath of getting a tattoo done. So, you should necessarily adopt the best grooming essentials for men that should include the Whiskers Tattoo cream and Whiskers Tattoo balm. All you need to do is to buy these grooming products for men online and use them regularly. Then it would be your turn to flaunt your tattoos in front of the society and earn accolades for the confidence that you show in every walk of your life.